High fidelity audio requires a bandwidth of about 20-20,000 Hz. This represents a frequency range of about 10 octaves. (An octave is a doubling in frequency.) Video requires a range of 30 Hz-4.2 MHz for broadcast quality, a range of 17 octaves. Due to the problems mentioned previously, it is just possible to accommodate the ten octaves of an audio recording using traditional techniques. Some very carefully designed audio recorders might be able to squeeze out an extra half-octave or so, but this is the limit. As previously mentioned, you can either speed up the tape, or reduce the gap width to increase the shortest wavelength you can record on tape. However, there are still limits that need to be overcome. Mechanical stability becomes a serious problem at very high tape speeds, as well as huge reel sizes. It was once calculated that a longitudinal videotape machine would require reels seven feet in diameter to hold the tape for one hour of recording time! 30 ips still remains a practical upper limit. There was still some latitude left in gap width to play with. It was determined that the minimum practical gap width was about .89 microns, a very small value. Even with this narrow a gap, a tape speed of 1000 to 1500 ips was needed to record full bandwidth video! 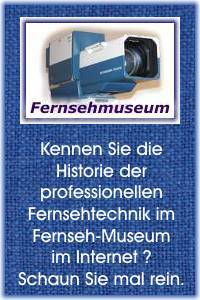 In any case, a practical videotape recorder using traditional longitudinal (I.e. tape passing in front of a fixed head) did not seem possible, even with the smallest practical head gap. Nevertheless, a couple experimental machines were built, which would record a few minutes of marginal-quality video onto 1/4 inch audio tape. One surviving example can be found at the Ampex museum of magnetic recording, in Redwood City, CA. The solution to the tape speed problem came when someone suggested moving the head past the tape rather than the tape past the head! The idea was to use a revolving head array that would record information on the tape in the form of tracks. On playback, you would scan the tracks with the head array, and recover the information. Although this turned out to be a very complex process, it was and still is the best solution to recording wideband information such as video or data. Three scanning systems were initially proposed. Arcuate scanning used 2 inch wide tape that passed under a spinning disc with three (later four)heads mounted on one side. It left arc-shaped tracks on the tape. Although this was the simplest approach to scanning the tape, it could not be made to work reliably. The second method tried was Transverse scanning. Here, 2 inch wide tape was formed into a 'U' shape, and a disc with four heads on it's edge would scan the tape while it was in the 'U' shape. The disc was perpendicular to the long dimension of the tape, so it left nearly vertical tracks on the tape. It worked, and at the time, showed the greatest promise. The third system was called Helical scan, and involved wrapping tape around a cylinder at an angle. A disc with one or two heads on it would scan the tape through a slot in the cylinder. The wrap angle of the tape was selected so the head would scan long, diagonal tracks on the tape. Although it was simple, and showed a lot of promise, helical scan was not quite good enough yet for a practical videotape recorder. It also required a very complex tape transport, as the tape had to be wrapped around the cylinder at a very precise angle. The other two scanning methods had essentially straight-through tape paths. One of the interesting things about magnetic tape is the shape of the magnetic particles on the tape itself. They tend to be spindle shaped, not round as you would expect. It was found early on in the history of magnetic recording that the magnetic particles work best when their long axis is oriented along the direction of the head gap motion. This quality of a magnetic tape is called it's Magnetic Orientation. Therefore, the particles are aligned along the long axis of most magnetic tape, including that intended for use with helical scan VTR's. However, if tape was to be used with a transverse scan VTR, it had to have it's magnetic particles aligned at right angles to the long axis of the tape. This requirement doesn't add a step to the tape manufacturing process; all that needs to be done is rotating a biasing magnet 90 degrees. This magnet lines up the particles on the tape at a point that the still-wet binder permits the magnetic particles to move around. One of the undesirable side effects of this is that tape manufactured for use with transverse scan VTR's is not useful for anything else! Very late in the life of quad, Fuji introduced a tape that had longitudinal particle orientation in the longitudinal track areas of the tape, and transverse orientation in the video area. Although this tape produced superior results, it was very hard to make. Thus, it's substantial extra cost prevented it from catching on. Transverse scan was chosen for the first practical videotape recorder. The two inch wide tape moved past the headwheel disc at 15 ips. The head rotated at 14,400 revolutions per minute, or 240 revolutions per second! (NTSC)(15,000 RPM or 250 RPS in 625 line systems.) The diameter of the head, and the radius of the shoe that held the tape in a 'U' shape were chosen so that at least one of the four heads would be in contact with the tape at any moment, and one head would come on to the tape just before another head left contact with the tape. This overlap allowed the recording of an uninterrupted signal on the tape. A 240 Hz sine wave was direct-recorded on the lower edge of the tape. The phase of this signal was such that it could be used to determine where the tracks are actually recorded on the tape. This is called the Control track Audio was recorded along the upper edge of the tape. A second audio track was recorded between the control track and the tape edge. This track was used for cuing purposes and is called the Cue track. After allowances for the audio and control tracks, the center of the tape contains nearly vertical tracks that each hold 16-17 TV lines of information, with allowances for overlap. 960 of these tracks are laid down every second, and 57,600 every minute! (A NTSC TV picture Frame has 525 lines in two groups of 262 1/2 lines each, which are called Fields. The effective speed of the video head was now about 1551 ips, or about 129 feet per second. (Or about 88 miles/hour!) This easily solved the upper frequency limit problem. Unfortunately, a number of new problems were created by this scanning process, and each of them required substantial engineering to overcome.